If you’re trying to avoid meat for Lent or if you’re in search of some seafood options, Taco Republic (500 County Line Road, Kansas City, Kansas) has Friday fish specials, including a blackened shrimp rice bowl with corn, guacamole, black beans and pico de gallo. Across the street, Joe’s Kansas City (3002 W. 47th Ave., Kansas City, Kansas) has its soft shell crab po’ boy on the menu. Fried soft shell crab is stuffed inside a hoagie roll with BBQ remoulade, shredded cabbage and tomato jam. The Uncorked: KC Champagne & Wine Festival is from 1 to 9 p.m. Saturday at Union Station. Try wine from more than 50 wineries or stop by the champagne bar. It’s not a marathon of wine tastings, but rather two sessions. The early afternoon session is sold out, but there are still tickets available for the 6 to 9 p.m. portion of the event. 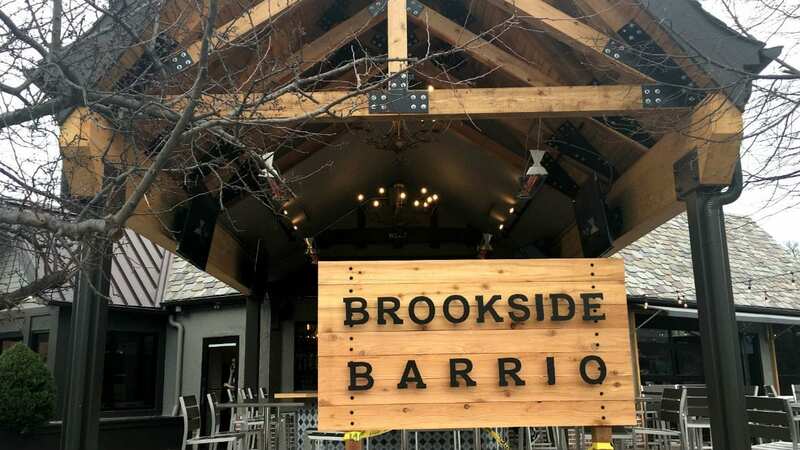 Brookside Barrio opened earlier this week in the former Julian space at 6227 Brookside Plaza. The new restaurant from Chris Ridler, who also owns Zocalo and Sol Cantina, has chicharrones (pork rinds), a burnt end quesadilla, street tacos and specialty tacos (duck carnitas, fried avocado). Scoby Masters Tea-Biotics (11415 Strang Line Road, Lenexa, Kansas) tasting room is now open. The tasting room is open from 9 a.m. to 5 p.m. Monday through Thursday, and 9 a.m. to 4 p.m. Friday. Check out hibiscus-watermelon or lime-tumeric, if either are on tap. Scoby Masters is also available at the Overland Park Farmers Market and at Hen House, Hy-Vee and Price Chopper. Two spaces dedicated to kombucha have opened in the Kansas City area this month. The Brewkery (1443 Swift St., North Kansas City, Missouri) opened its kombucha taproom last week. KC Crew has put together a St. Pat’s Scavenger Crawl from 1 to 5 p.m. Saturday in Martini Corner. Think of it as a pub crawl with a chance to win prizes by solving the various clues and completing challenges along the way. The crawl will have specials on Restless Spirits drinks and green attire is certainly encouraged. If you don’t have an ocean, sometimes you have to bring the ocean to you. Hawaiian Bros. Island Grill (1112 E. North Ave.) is open in Belton, Missouri. The Hawaiian plate comes with a scoop of white rice, macaroni salad and the protein of your choice (huli huli chicken, their version of teriyaki, or slow roasted pork seasoned with Hawaiian sea salt). Sandwiches are on King’s Hawaiian buns and they’ve got Aloha Maid drinks (tropical fruit juices from Hawaii). Hawaiian Bros. is open from 11 a.m. to 10 p.m. daily. Just like you’d catch a movie trailer, you can see the future of Kansas City’s restaurant scene on Sunday. The 42nd annual American Culinary Federation Greater Kansas City Chefs Association’s Chef Apprentice Showcase is from 6 to 9 p.m. Taste small plates prepared by students in Johnson County Community College’s Hospitality and Culinary Academy. Pop by 20 different tasting stations and see cooking demonstrations. Tickets ($50) benefit the ACF and a portion of the proceeds go to the culinary program.